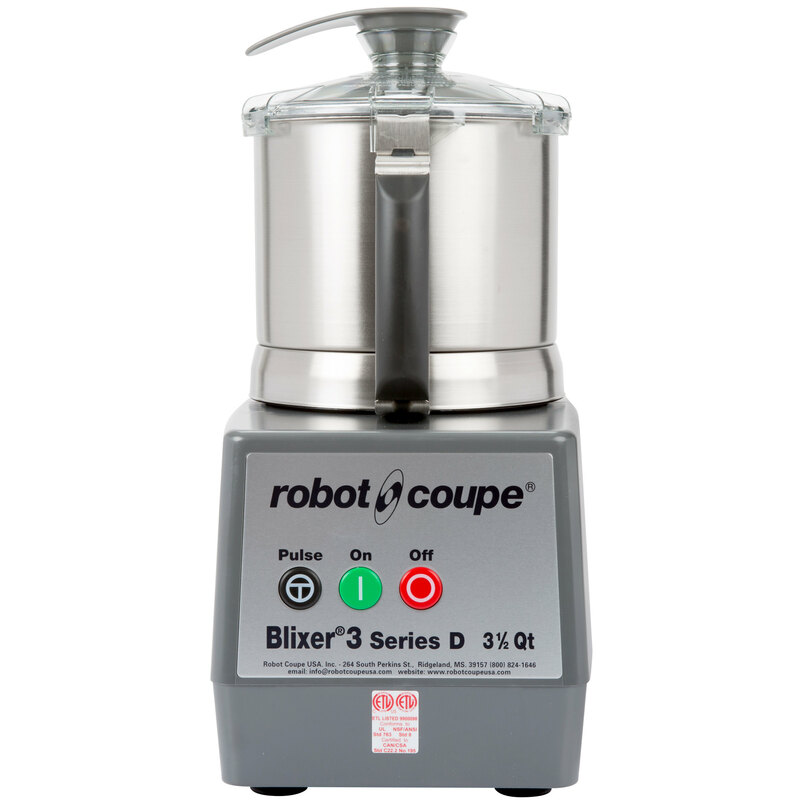 Liquefy, grind, chop, puree, and emulsify all in the same unit with the Robot Coupe Blixer 3 food processor! 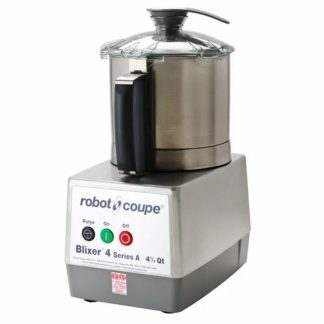 An excellent addition to virtually any commercial kitchen or healthcare facility, this rugged Robot Coupe Blixer 3 food processor allows you to prepare sauces, dressings, mousses, ground spices, or puree meals within the same versatile unit! 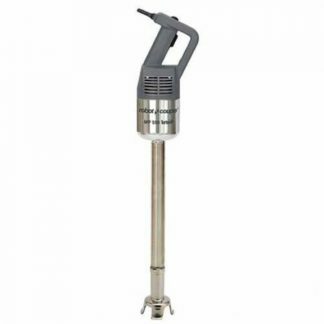 Its powerful 1 1/2 hp motor combines with a 3.5 qt. 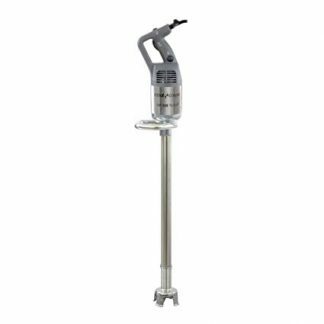 stainless steel bowl and simple push button controls so that you can rapidly process large quantities of product with ease. Featuring just 3 single-function buttons, operating the Blixer 3 food processor couldn’t be any easier! An “on” and “off” button control the unit’s power, while a “pulse” option gives you a burst of power for more precise control when you need it. Liquefy, grind, chop, puree, and emulsify all in the same unit with the Robot Coupe Blixer 3! This unit’s easy-on/easy-off lid requires just one simple twist for a safe, secure closure. Push-button controls ensure ease of use with a large green “on” button and similarly-sized red “off” button. Disassembly is easy with the user-friendly Robot Coupe Blixer 3. To open the lid, just twist it in the opposite direction that you secured it with, and lift up to remove. The patented two-part plastic lid wipe assembly requires just a slight pull in each direction to release from the clear polycarbonate lid. To remove the included fine serrated edge stainless steel “S” blade assembly, lift it right out of the batch bowl. And, with a little twist, the batch bowl will release from the motor base for effortless lift-off. Assembling the unit is just as easy too! Set the bowl on the motor base and twist to secure. Place the “S” blade down over the hollow inner tube of the batch bowl and turn into place. Add your ingredients, secure the lid, turn the unit on, and twist the lid wipe handle to ensure a thorough blending takes place. Liquids, including oil and water, can easily be added to the mix during operation through the lid wipe handle’s liquid feed tube. When blended/mixed to perfection, turn the unit off and you’re ready for the next phase of food prep. Just what I needed We use this machine to make large amounts of dog food fast and it's pretty amazing. It grinds chicken, carrots and rice into a creamy consistency in minutes. I put all the food in a Tupperware container so our pup can eat healthy throughout the week. It's easy to clean and to handle. It's not super noisy, which is great because it doesn't sound like a rocket has taken off every time we use it!